Sony Europe’s Image Sensing Solutions division (1C37) will unveil a polarised light module based on its five megapixel GS CMOS device. The polarised camera will be joined by an embedded vision concept camera, a 12-megapixel module based on the Camera Link transmission standard, and a 4K FCB block camera. 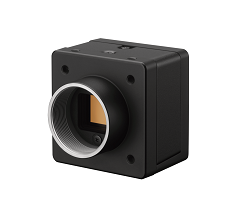 Sony will be highlighting several strategic additions to its GS CMOS machine vision cameras, including advanced pre-processing features and new capabilities such as IEEE1588-master-device functionality. In addition, the company has added new transmission standards, launching its first USB 3 module.